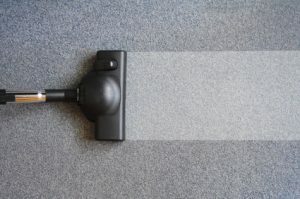 When you have water damage, flooding, or a stain, it’s pretty obvious that you could benefit from some professional deep carpet cleaning from PCS of Southern Connecticut in Trumbull. However, there are some more subtle signs that your carpets could be in need of some love and attention. Here are some signs that your carpets need cleaning. High traffic areas in your carpet gradually wear down and even turn color over time. It is sometimes hard to see this change taking place since it does happen so gradually. If you move some of your furniture around after it has sat for a long period of time, then you will clearly see the outline of the furniture and you’ll know that it is beyond time to get a good, deep carpet cleaning. Wear and tear and traffic marks on your carpets are normal and just the nature of the beast. If you want your carpets to wear more evenly over time, consider rearranging your furniture every few months. Have you ever walked into your home and immediately thought that it smelled like garbage? Some smells can be easy to identify. Wet towels, your kids soccer uniforms, or stinky shoes can be easy to spot, but what could be the culprit when none of these things are lying around and your trash is completely empty? You guessed it; your carpet could literally smell like garbage if there was a spill that wasn’t properly cleaned up. This can happen especially in apartments or rental homes where you don’t know what the carpet’s history was before you arrived. If a resident spilled milk or even water and didn’t dry it properly, the smell will only get worse with time, so contact a carpet cleaning company in Trumbull as soon as possible. If you have carpet in your dining room, make sure you protect it from spills by laying down a plastic mat under the table. If you don’t like the look of that, you can put an area rug on top of it that is specifically made for dining and stain resistant. If your home just barely became your home, then you will want to have the carpets professionally cleaned before moving in. Unless your carpets are brand new, they will likely have a lot of dirt and dead skin cells piled up that you’d prefer not to have in your home. Most landlords will say that they clean carpets before the property changes hands, but many of them won’t thoroughly vacuum first and the cleaning job ends up being sub par. So even if your landlord has cleaned it, make sure you have a professional do a thorough job. Carpet is an amazing flooring option that immediately makes you feel cozy and warm when you enter a room. However it can hold on to debris if they are not cleaned regularly. Make sure you have professional carpet cleaning done in your home a couple times a year or as needed.